Enter Coupon MUR419 in your cart. Save 15% on Feiss Product From 04/01/19 - 04/30/19 11:59 PM et. Cannot be combined with any other offer or discount, including Pro pricing. Excludes clearance, closeout, replacements, & parts. 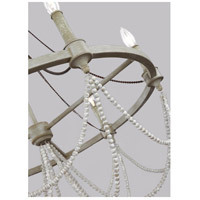 The Beverly six-light chandelier by Feiss features the perfect balance of rustic, time-worn finishes like a new Distressed White Wood beads, Natural Rock Crystal beads, the new vintage-inspired French Washed Oak finish on the frame and candle tubes, and the Weathered Iron finish on the chain. 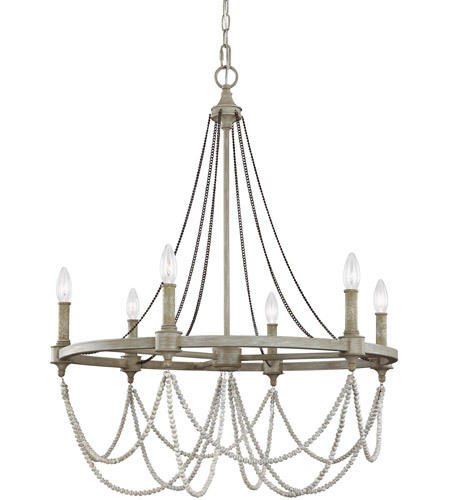 Together these elements create a warm, and elegantly simple update to the traditional style of this classic light fixture. 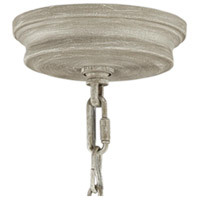 The simple silhouette of these light fixtures makes them versatile to fit in a wide range of décor, and the rustic finish makes them particularly ideal for living rooms, dining rooms and bedrooms with casual, traditional decor, European farmhouse design or the shabby chic look. 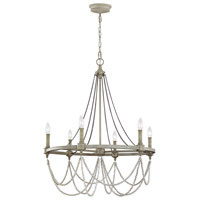 The chandelier’s silhouette reaches a stately scale of 35” in height and 28” in diameter.